This popcorn is super yummy and super simple to make. It makes a great gift or party favor. It is colorful and bright. Separate and melt white chocolate into three bowls. Stir in a little coloring in each bowl. One pink, one blue and one yellow. Then pour and drizzle the chocolate over the air popped popcorn on the baking tray. Before it sets up, add the colorful sprinkles. Let the chocolate set up completely and then break it into chunks. It's ready to serve and enjoy--or add it as a garnish on a fun cake! Like, Save, Follow, Share, Pin and Comment! 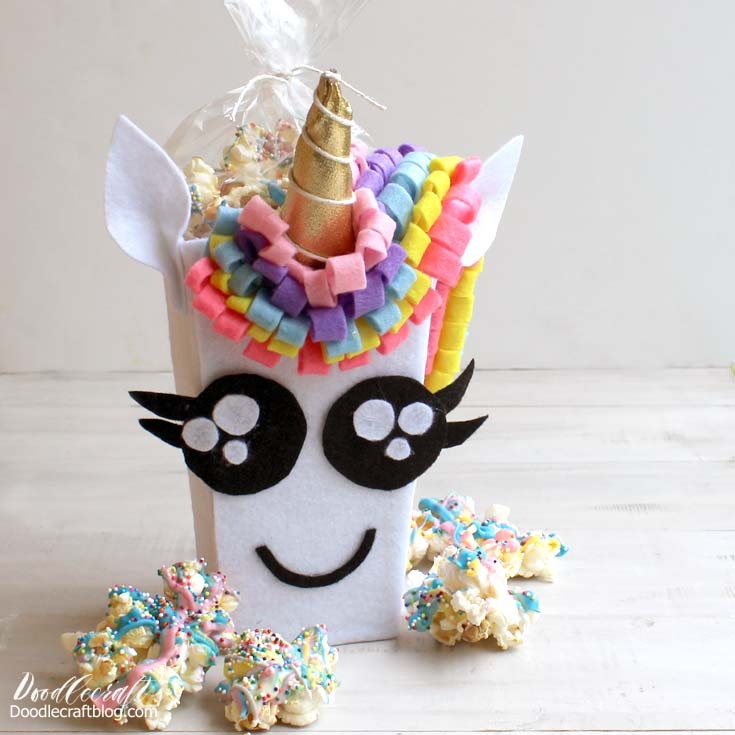 Check out this great Unicorn Popcorn Box to serve it in too!